Buhl Planetarium and Institute of Popular Science, in September of 1982. The University Faculty had unanimously recommended this action, without receiving a request from Professor Graham. Professor Graham was honored by this designation and said, "I was just doing my thing. I love explaining stuff and dreaming up new stuff. It's a love that was nurtured by the environment at Buhl Planetarium." Professor Graham received a Bachelor of Arts degree in Interdisciplinary Science and a Master of Science degree in Astronomy from the University of Pittsburgh. Before joining the faculty of Kent State University, Professor Graham taught at the Community College of Beaver County Pennsylvania. During his years at Kent State University, he was based at the University's East Liverpool Campus, although he did teach at other campuses including the main campus. Professor Graham is the author of a book titled, Monocopters (Apogee Components, 1999), as well as numerous professional research papers. Professor Graham served as a Planetarium and Observatory Lecturer at Buhl Planetarium from 1979 to 1988. He provided expert commentary to the public during special Buhl Planetarium events, such as the live coverage of the Voyager 2 encounter with Planet Uranus, in January of 1986, when live images from the NASA satellite channel were piped into Buhl's Little Science Theater. The photograph of the waxing crescent Moon, below, was taken by Professor Graham using the rather unique 10-inch Siderostat-type Refractor Telescope, in the third floor astronomical observatory of Pittsburgh's original Buhl Planetarium and Institute of Popular Science. 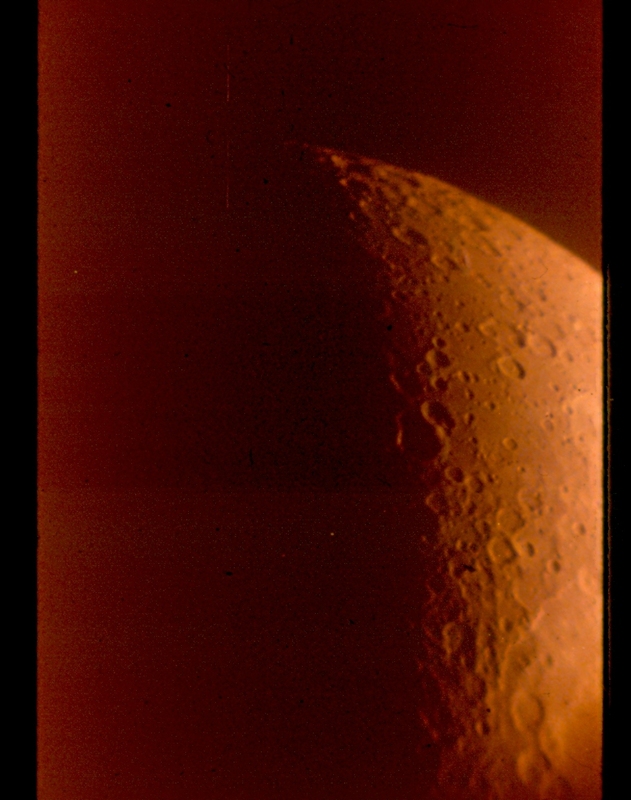 Photographs, similar to this one, were compiled by Professor Graham to assist with a national research project to better map the area near the Moon's South Pole. Although the original Buhl Planetarium Observatory was primarily used to show the public the Moon, planets, stars, and sunspots and granulation on the surface of the Sun, this was one of the rare instances when the Siderostat Telescope was used for scientific research. During his time at Buhl Planetarium, Professor Graham founded the American Lunar Society in 1984. This actually started as a spin-off of, what was then known as, the Tripoli Rocket Club. However, with many new members from around the nation, the American Lunar Society quickly grew to an organization dedicated to professional lunar research. He usually uses this telescope at a private observatory near his suburban Pittsburgh residence. And, once the transit event concluded at 7:26 a.m. EDT, Professor Graham turned his telescope to the southern sky to show the public the Moon. This Friends of the Zeiss event was the only such event in the City of Pittsburgh open to the general public.